CiTR’s Fourth Annual Access Day! On Thursday, May 17 CiTR hosted the 4th annual Access Day! This year’s programming featured content from stations all across Canada for content that is about accessibility, self- advocacy, social accessibility, adaptive programming and more! Check out the 2018 programming schedule below! Podcasts are now available! Follow the “Listen to the podcast.” link after each description to hear the podcast. Archived episode of All Access Pass on representation of people with disabilities in the acting world, why people with disabilities are so often played by able bodied people, and organizations that are working to change this. Listen to the podcast. Interview with Alice Wong by All Access Pass. Transcription is available. Listen to the podcast. On CJLO 1690 AM, the accessibility collective has a show every second Friday called the Audio Penpals. The show is a collaboration with participants (both past & present) from the Centre for the Arts in Human Development at Concordia University, which is an educational, clinical and research centre serving adults with developmental disabilities and other special needs populations. In this piece, Audio Penpals coordinator Cameron MacIntyre sits down with the members to discuss how they got involved and what they enjoy about radio. Further in the episode, Cameron facilitates a group discussion with the Audio Penpals and former coordinator Jenna Welik to discuss accessibility of radio and Concordia University. Listen to the podcast. CJSF’s contribution is Tony Janolino’s interview with Brent Goodman of the Canadian Adaptive Climbing Society, as well as an interview with Tony himself about he and guide dog Manda’s participation in the Canada C3 expedition. Tony is visually impaired, and is an active volunteer at CJSF, student at Simon Fraser University, and employee of SFU Recreation and Athletics. Listen to the podcast. Inclusion of the Underrepresented: The Beginning of Diverse-Ability in Media by Deepi Leihl from 2015’s UBC Centennial Radio Documentary Series. 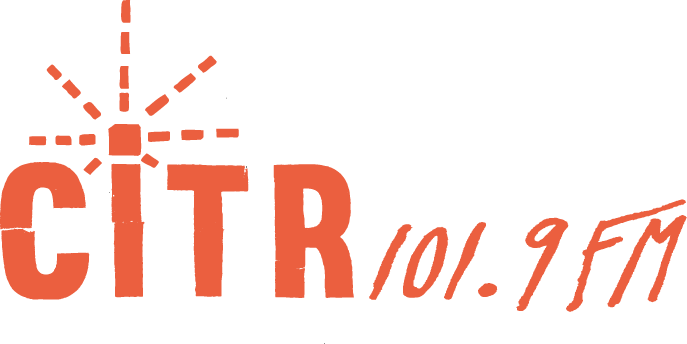 This documentary follows the story of three radio producers who use CiTR 101.9FM to make radio about accessibility and disability. We mix snippets from a 1985 radio piece made for CiTR, “Media Effects on Youth – Youth Focus Doc” into the narrative. We use these snippets to delve into the impact the production and consumption of media has on people with disabilities. Deepi, has a rare disability called Metatropic Dwarfism. Mollie and Katie, both UBC students, produce a weekly show called, All Access Pass. We explore what brought these producers to where they are, and the impact they have been able to make through CiTR, as well as the impact their experiences have had on them. Listen to the podcast. CJSW contribute 2 30 minute episodes of Accessible Airwaves. Episode 10: 061017 & CJSW Bumping into Walls and episode 6: How Well Done is your Medium? Listen to the podcast. First 11:30 minutes content is recorded by our Programmer (James Cucek). His show name at CIVL is “James on the West Coast”. He is talking about the CLBC services. And then we have short Bio of Justin Hines and then we have played “Say what you will” song by Justin Hines. At 16:35 mark we have interview with a staff member (Jodi Noble) from UFV Accessibility Centre. And then at the end we have another song “Days to recall” by Justin Hines. Listen to the podcast. Every couple of years, of course, athletes get a little bit of the spotlight from the Olympics and the Paralympics. But they don’t stop training and competing then. And the challenges they work through to participate aren’t always glamorous. Caitlin Macnab spoke with Edmonton’s Maegan Ciesielski (shuh-SHELL-ski) to find out more. Maegan’s doing research at the University of Alberta to get athletes with disabilities more involved in track and field. Listen to the podcast. CiTR works to foster and sustain a safe and inclusive environment for our members, volunteers, guests and supporters. We reflect the UBC campus, the city, and the multicultural/multiracial nature of both, and honour an inclusive, healthy and dynamic society in which each person, regardless of background, experience or circumstance, is able to participate and benefit in varying capacities. 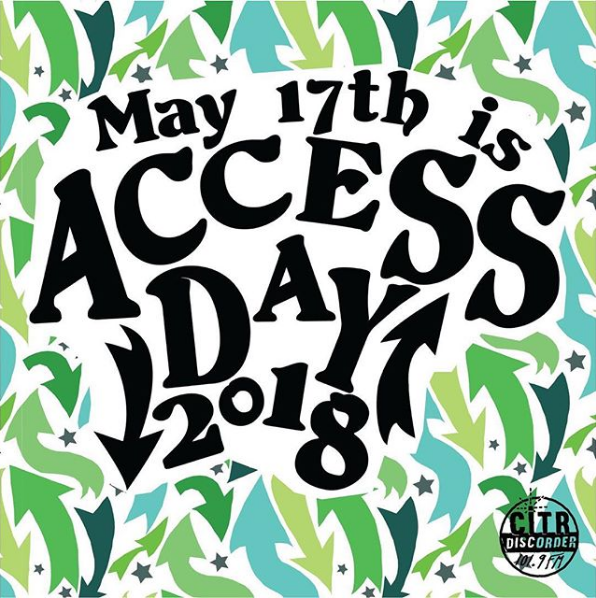 CiTR’s Access Day programming focuses on these commitments through the content and voices of our guests, bringing these values, and the associated challenges, to the minds and ears of our listeners, volunteers, and programmers. We acknowledge that this event takes place on occupied, traditional, ancestral, and unceded territories of the Coast Salish peoples – specifically the sḵwx̱wú7mesh (Squamish), sel̓íl̓witulh (Tsleil-Waututh), and xʷməθkʷəy̓əm (Musqueam) nations.